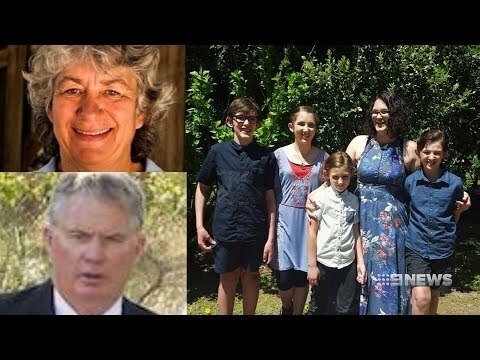 Authorities said Friday a mother and her four children are among seven people killed in Australia's deadliest mass shooting in over 20 years. The mother, Katrina Miles, was found dead with her three sons and one daughter, aged from eight to 13 years old. The other two victims are believed to be the woman's parents, Cynda Miles and Peter Miles, who own the property where the deadly tragedy took place. The bodies were found on a property in Margaret River, located on the coast of Western Australia, about 170 miles south of Perth. Dawson said the bodies had been there for several days before they were discovered. Police only visited the property when a "connected to the property" raised concerns about the residents. Police Commissioner Chris Dawson said all seven victims appeared to be residents of the property, which consists of a house and shed that had been converted to living quarters. The victims appear to have died from gunshot wounds. Two adults were found outside and the other five were discovered inside the converted shed. "It appears that gunshot wounds are there, but I don't want to go further than that as two firearms have been located," Dawson said. It's unclear who is responsible for the shootings. Public records said Cynda Miles worked for a community group and the children were all home-schooled. A friend of the family, who is in the same home-schooling network, said the children were all on the Autism spectrum. Police are investigating the incident and expect to be on the property for the next several days. The premier of Western Australia, Mark McGowan, called the incident "shocking." "The events in our South West are tragic and shocking," McGowan said on Twitter. "My thoughts are with the family and friends of the victims, and also with the first responders and investigators as they piece together this tragic set of circumstances." If confirmed as a mass shooting, the incident in Margaret River will be the largest mass shooting in Australia since 1996, when 35 people were killed in Port Arthur.